Coming from a centuries-old tradition of excellence in medicine and science, Geneva University Hospitals (HUG) was born in 1995. 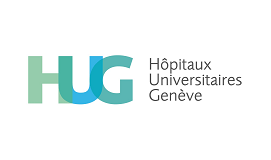 Comprising eight Geneva public hospitals and 40 outpatient clinics distributed throughout the canton of Geneva, HUG are the first university hospital of Switzerland and is recognised nationally and internationally in many leading disciplines. The information system of a healthcare provider such as the HUG comprises thousands of applications and devices which exchange medical care and administrative information around the clock all year long. Over the course of many projects the HUG had developed a nearly countless number of dedicated point-to-point interfaces. In time, this became increasingly difficult to operate and maintain. 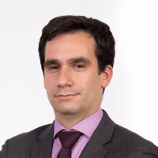 We formed an expert team to study the way the hospital’s data flowed and to come up with a solution that would centralise that flow, standardise it and improve its robustness. The aim was to create a best-of-breed solution to integrate all of the HUG’s healthcare applications. Support for several healthcare standards such as HL7, DICOM, etc. Integration practice decentralised across multiple teams. Replacement of in-house development with off-the-shelf product. We suggested using solution based on Mirth Connect, an open source healthcare integration engine. The first project tasks involved installing the development, training, qualification and production environments using Mirth Appliance. Mirth Appliance proposes an out of the box high availability architecture while simultaneously simplifying administration to a great extent. This is done through features such as automatic update and direct link to product support. Team training came next, carried out by experienced and certified consultants. This gave the HUG a quick start on integrating. To date, the hospital has more than 20 people who can develop integration channels, which shows how easy it is to work with Mirth Connect. The next deliverables were two reference channels: a generic file transfer channel and an embryo of patient administration channel (HL7 ADT). Both were developed and completed by development guidelines explaining best practices, naming conventions, code documentation, channel design, etc. We then developed a solution to manage the development process. This was done reusing the available Java tooling: SVN as source code repository; Maven as the build and packaging tool; and XL Deploy for application deployment. We finalised the project by setting up a unit testing framework based on JUnit. Now able to operate on its own, the HUG continues to work on fine-tuning the solution to meet its evolving needs with, for example, channel cartography, monitoring dashboards and advanced alerting. 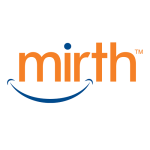 Founded in 1993, Mirth Corporation is a worldwide leader offering the healthcare industry dedicated open source solutions with enterprise level support. Developed over the last 10 years and downloaded more than 100,000 times, Mirth Connect is THE reference healthcare application integration engine. Mirth Connect has a plugin-architecture which allows new features to be added when needed. Plugins are available to support new protocols, for user management, advanced alerting, improved security and more. SmartWave has developed a plugin allowing DICOM modalities to download worklists. Mirth Connect comes with centralised patient data storage, indexing and search features. This has numerous benefits: querying all messages for a given patient or system; reprocessing failed messages; queueing messages when the target system is unavailable; and more. The Mirth Appliances Clusters offer the high availability required for a central component like an integration engine. In addition, Mirth Connect has a flexible alerting system which allows every failure situation to be detected and appropriate warnings to be sent and escalated over multiple media. Mirth Connect is easy to use and only needs code for implementation-specific situations, so a simple channel can be developed in a few minutes. HUG also had the benefit of a true software factory developed by SmartWave which automates nearly everything from code to runtime over unit testing, configuration and deployment in all environments.